Dog parents understand the importance of finding a great local dog park. 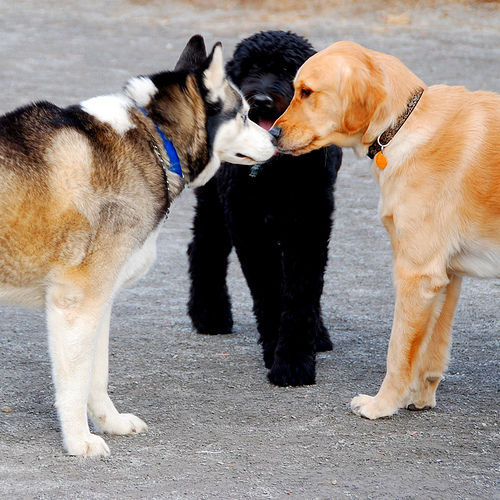 Dog parks are a great resource for your furry friend to run to his heart’s content, interact with other dogs, sniff new things, and buddy up to humans in attempts to gain cookies. It is also a great place for pet parents to meet like-minded neighbors and share fur-children stories! We’ve put together a list of the best dog parks in Downers Grove, IL to help you find a spot with the amenities, space, and cookie-dispensing humans that your pup is looking for! Katherine Legge Memorial Park: This dog park is located at 5901 S. County Line Rd in Hinsdale, IL. Dogs are only allowed at the park in the morning and evening. Patriots Park: Located in Downers Grove near 55th Street and Fairview Ave., this is a nice area for walking your leashed pup. Patriots Park is not a dog park, and dogs cannot be off leash, but the park offers a beautiful walking path around the pond that we had to include on our list! Mayslake Dog Park: Mayslake is actually a dog park in Oak Brook, IL, but is near Downers Grove and worth mention. Members pay an annual fee to have access to this dog park, as well as the five other off leash dog parks that are part of the Dupage County Forest Preserves. This entry was posted in Downers Grove Diary and tagged dog parks, Downers Grove on February 20, 2013 by Laura Rumage.